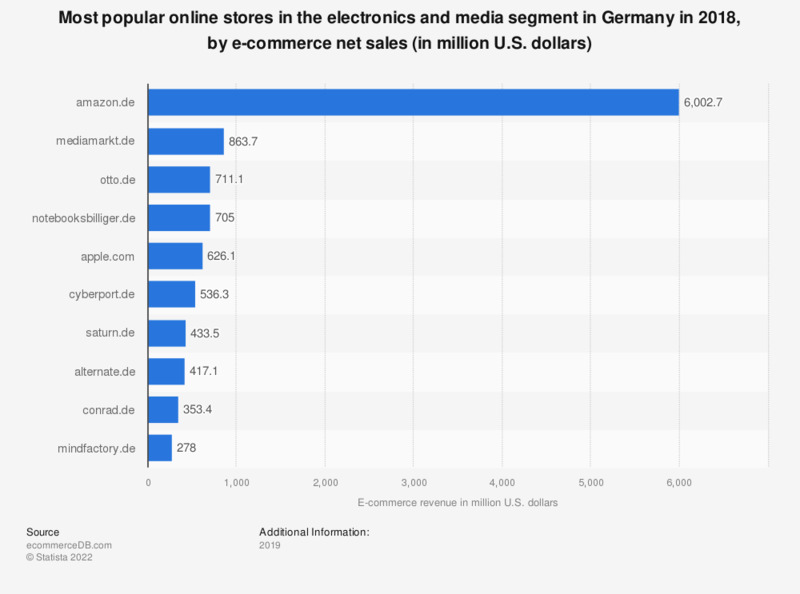 This statistic presents a ranking of the most popular online stores in Germany in the electronics and media segment in 2018, sorted by annual net e-commerce sales. In 2018, market leader amazon.de generated 5,6 billion U.S. dollars via the sale of physical goods in the category electronics and media in Germany. The online store mediamarkt.de was ranked second with a revenue of 863,7 million U.S. dollars. Everything On "eCommerceDB - Top online stores worldwide" in One Document: Edited and Divided into Handy Chapters. Including Detailed References.